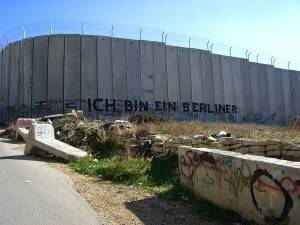 It had originally been hoped that the United States would present a binding framework along the lines of what moderate Israeli and Palestinian political leaders had agreed to in unofficial talks in Geneva in 2003: Israel would recognize a Palestinian state based roughly on the pre-1967 borders with mutual territorial swaps, which would leave the Palestinians with 22 percent of historic Palestine and allow Israel to keep the remaining 78 percent; the Palestinian state would be demilitarized and all irregular militias disarmed; illegal settlements in occupied Palestinian territory near the Israeli border — encompassing close to 80 percent of the settlers — would be incorporated into Israel while settlers in the more remote settlements would be required to return to Israel; there would be no right of return for Palestinian refugees to Israel, but there would be international assistance in helping them resettle in the new Palestinian state; and some Israeli troops would remain along border crossings between the Palestinian state and its Arab neighbors, eventually to be replaced by international forces. An interview with an anonymous U.S. official close to the peace talks in Yedioth Ahronoth, Israel’s largest newspaper, confirmed numerous other reports that the Palestinian side made major concessions while the Israeli side essentially refused to make any, generally refusing to talk about any substantive issues. A host of Democratic and Republican former officials — including a former national security adviser, secretary of defense, chair of the House Foreign Affairs Committee, trade representative, and undersecretary of state for political affairs — went on record arguing that the Obama administration would have to challenge the Israeli government’s hard line towards the Palestinians in order for the peace process to be successful. Unfortunately, the White House apparently had no interest in doing so. Instead, Washington has focused on Palestinian Authority President Mahmoud Abbas’s refusal to give in to U.S. and Israeli demands that he recognize Israel as a “Jewish state.” While the Palestinian government, the Palestine Liberation Organization, and the ruling Fatah party have all recognized the state of Israel for more than 20 years, the Obama administration has effectively moved the goalposts by declaring that recognizing the Israeli government, acknowledging its right to exist, and providing security guarantees is not enough, insisting that the Palestinians explicitly recognize the state of Israel’s ethno-religious identity as well. No previous administration has put forward such a requirement. President Jimmy Carter never made such demands on Egypt, nor did President Bill Clinton require this of Jordan as a condition for their peace treaties with Israel. Abbas has said that Israel can identify itself however it wants, but — given that 20 percent of the Israeli population is ethnically Palestinian Arab — it would be politically impossible to agree to something that would acknowledge second-class status for other Palestinians. Never in history has any country been required to recognize the ethnic or religious identity of another state as a condition for peace. It appears, then, that the Obama administration’s demand may have been an effort to destroy any chance of a peace agreement and leave an opening to blame the Palestinians — despite their agreement to virtually every other issue — for the failure of the peace process. 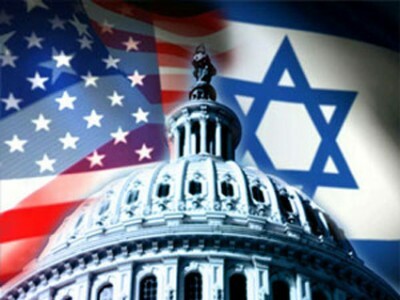 Unless and until the Obama administration decides to end its unconditional backing for Israel’s right-wing government and instead support Israeli and Palestinian moderates, there will be no hope for peace.